Edited by Nadim Samman. Text by David Breskin, Ele Carpenter, Carson Chan, Eric Ellingsen, Peter Galison, Dehlia Hannah, Richard Rhodes, Nadim Samman, Charles Stankievech. 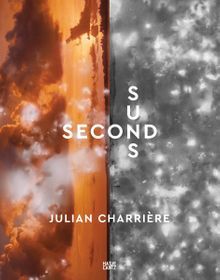 French-Swiss artist Julian Charrière’s (born 1987) work in Second Suns investigates the postnuclear landscapes and architecture of the Bikini Atoll and Semipalatinsk, Kazakhstan—respectively American and Soviet nuclear testing sites. This investigation comprises photographs, sculpture and video works, as well as expedition documentation. Slip, pbk, 2 vols, 9.5 x 12.75 in. / 288 pgs / 152 color.